Ring in the new year by showing your loved ones around your city! San Diego County residents can take advantage of some of our tours and attractions for FREE when accompanied by a full fare adult paid guest with Hometown Pass! A few museums in Balboa Park are free on 1st – 4th Tuesdays of each month to San Diego area locals and active military. All boats and classes are featured in this New Year’s day traditional regatta. Participants will start around noon at the east end of Harbor Island and sail into San Diego Bay. It is nice to watch as you explore the San Diego waterfront. Join Gut Check Fitness and the CAF-Operation Rebound for our first ever Monsters of the Midway Boot Camp workout on the historical Midway aircraft carrier in sunny San Diego. This will be a killer 1.5 workout filled with plenty of bodyweight calisthenics, cardio, motivation and high fives. The 7th annual San Diego Beer Fest returns to Liberty Station and promising another fun filled day with beer, food trucks, and music. The event will feature dozens of local and international craft beers, as well as San Diego’s most popular food trucks (food sold separately). Walk, run, skip, crawl, we don’t care! Whether this is your first race or you’re a trained running professional, there’s something for everyone! So join us for the 12th Annual San Diego Resolution Run 5K/10K/Half. Our post-race wellness village is sure to please with tons of freebies and services helping you make your 2019 be the best year yet! This event benefits Wild Willow Farms & Education Center, a local, eco-friendly organization supporting a healthier San Diego food system. East Mission Bay Park, 1292 E. Mission Bay Dr. The annual event commemorates the legacy of Dr. Martin Luther King Jr. The parade features marching bands, floats, drill teams, balloons, and antique cars. Parade route: starts at Harbor Drive and Grape Street and continues to Harbor Drive and Pacific Highway. 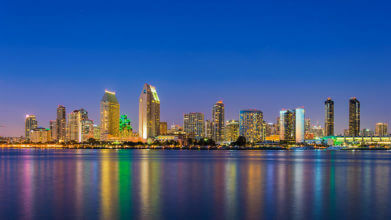 It’s that time of year again when you get to treat your taste buds to a night out at San Diego Restaurant Week! Leave the cooking to someone else and join over 140,000 diners in the celebration of Restaurant Week and indulge in three courses prepared special for this occasion only at discounted prices with prix-fixe lunches priced at $10, $15, and $20 and three-course prix-fixe dinners at $20, $30, or $40. No tickets necessary for this event, just make reservations for any of the participating locations, show up, choose from their prix-fixe menu and let your taste buds enjoy! Popular with golf enthusiasts, this annual PGA Tour men’s golf tournament features top players from the PGA Tour. Includes Pro-Am rounds, practice rounds, and the pro tournament. For cat lovers, this largest annual cat show on the West Coast features 450 cats competing for top honors and more. Saturday: 10:am – 5:00pm and Sunday: 9:00am – 5:00pm.